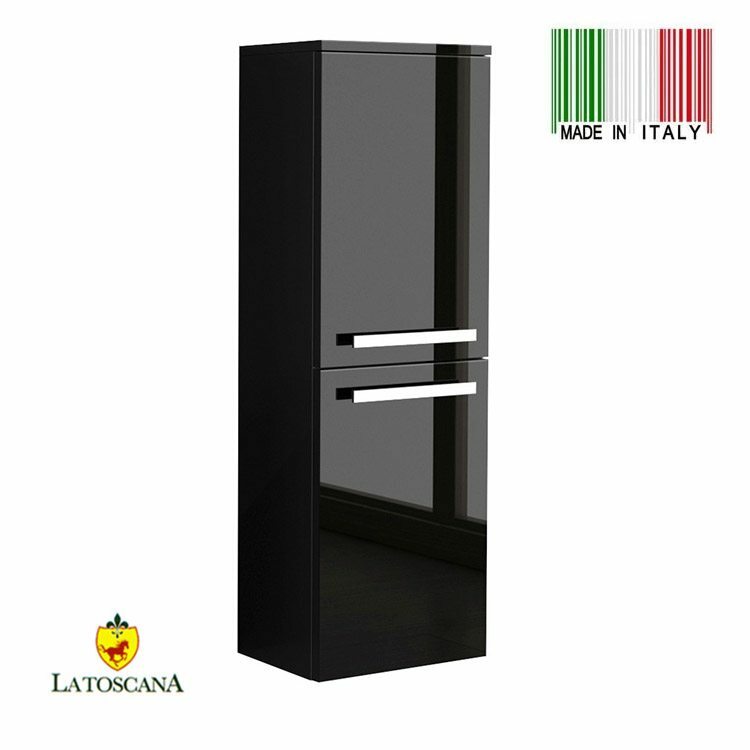 The side cabinet is of Glossy Black color with two adjustable doors and adjustable hinges. It fully blends in with the OACI bathroom vanity in terms of color and style. 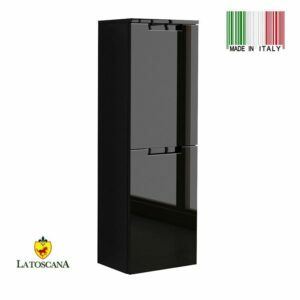 It is made in Italy by LaToscana company. Inside the side cabinet, there are two shelves. The side cabinet can be very conveniently placed right above the toilet. This particular side cabinet is very handy when it comes to placement of bathroom furniture in smaller bathrooms because it has plenty of empty space inside. They are adjustable and very easy to level. Also, it has two small chrome handles. The doors are rectangular in shape. 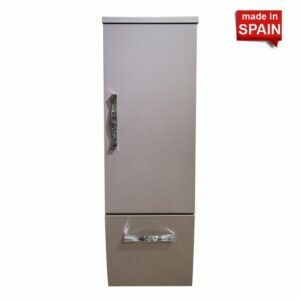 The side cabinet is made from highest quality MDF/DT material.